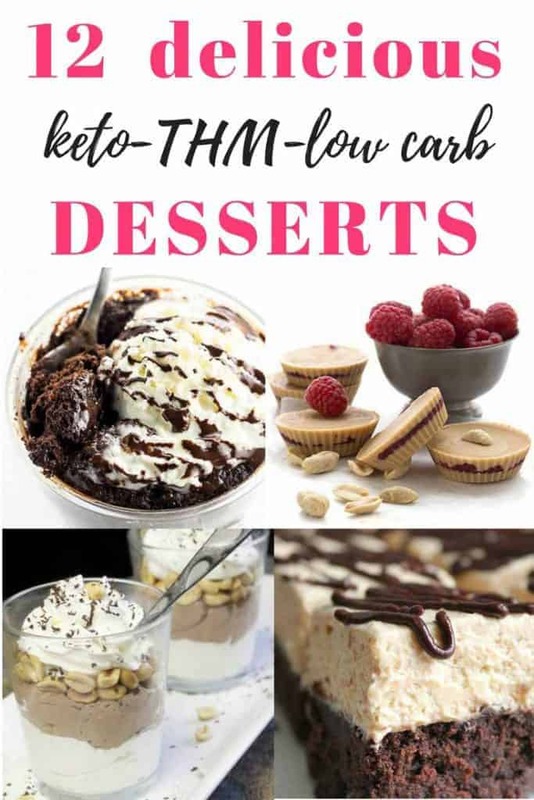 These decadent, yet healthy Keto deserts are delicious and nourishing ways to fuel your body with good fats while indulging your taste buds. 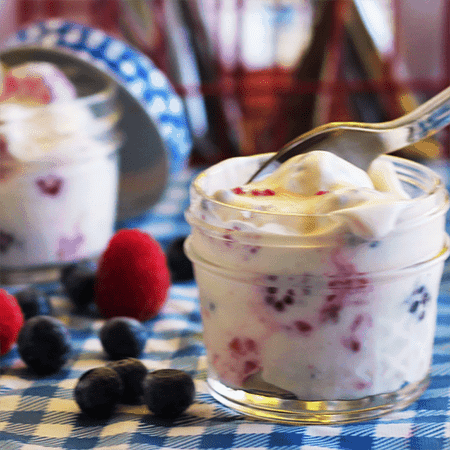 Perfect for an afternoon pick-me-up or dessert after your favorite dinner, here are easy keto treats you have to try! 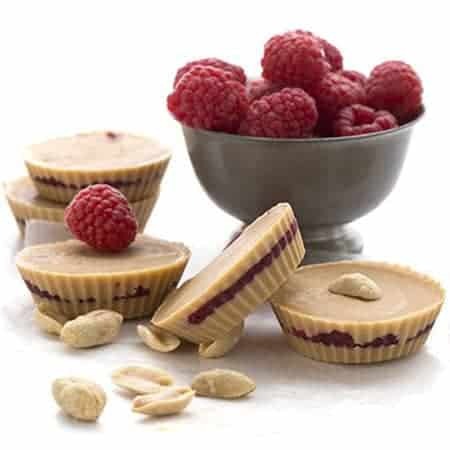 Remember, if you’re a Trim Healthy Mama, these are your “S” treats! This is great to make ahead as a single serve or all together in a pretty bowl. Indulge in a delicious, protein-packed breakfast that tastes more like dessert or save it for a more traditional treat after your favorite healthy dinner. 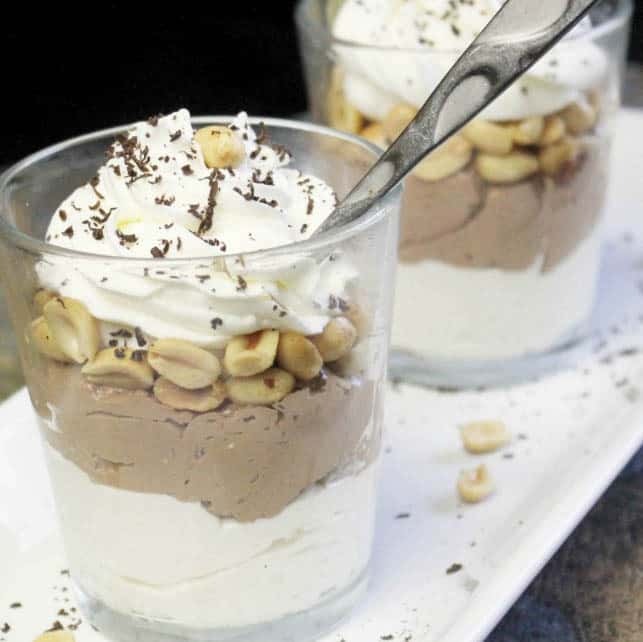 These little darlings look amazing in dessert shooter cups and a little goes a long way because they are so full of flavor and incredibly satisfying! I love these served on holidays because I can make them ahead, they’re easy to put together, and they look fantastic and taste even better. Thanks, My Table of Three, for the deliciousness! This absolutely inspired recipe was created by My Table of Three, also. Keri really knows her yummy low-carb, keto, and Trim Healthy Mama yumminess (yes, yumminess is a word!). This recipe is perfect to make ahead for a BBQ gathering, birthday dinner, or just to keep on hand when you want a treat. This summer salad is about as simple and refreshing as it gets. 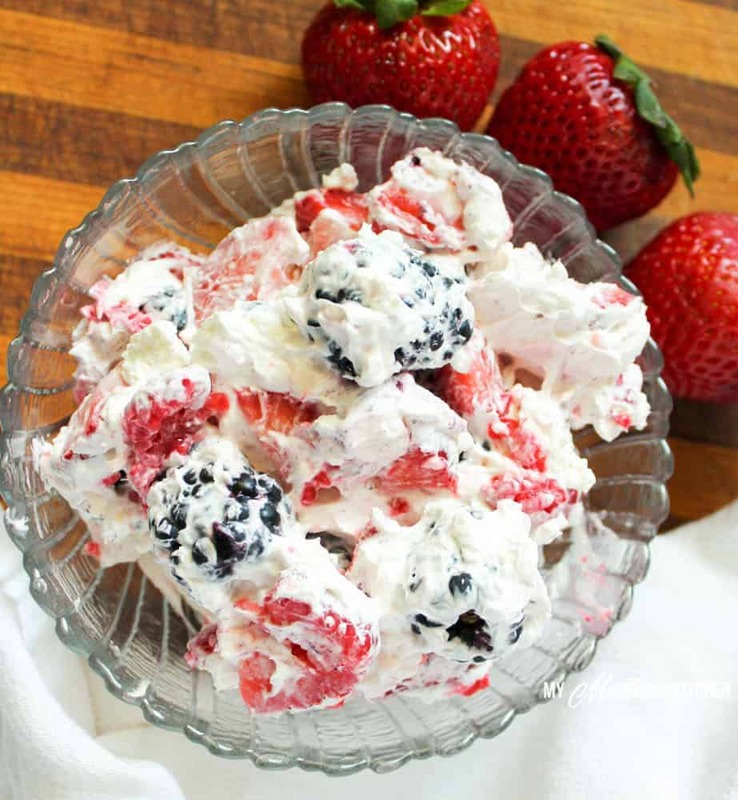 Perfect for a potluck, company dessert, or a family treat, this cheesecake berry salad is served cold. You can make it ahead and have it ready to go. The fresh berries of summer are going to be amazing in it. 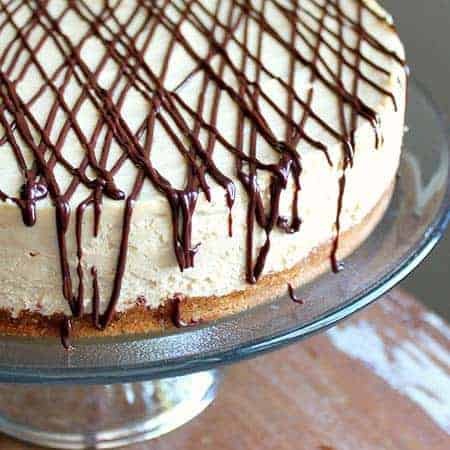 The peanut butter cheesecake is super simple to make and it tastes over-the-moon delish. There’s no guessing it’s a good-for-you treat. Plus there’s no baking, so no water bath or cracking, too! Serve it up for company, or make it for your family. 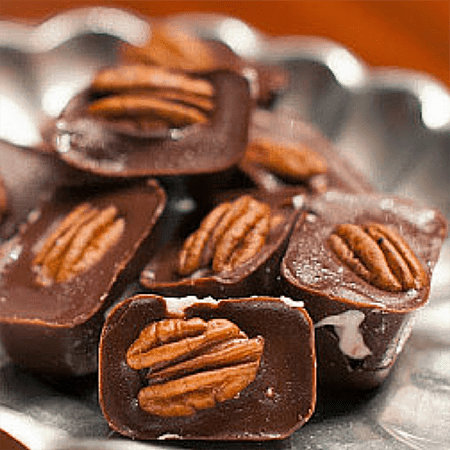 These beauties are made in an ice cube tray and so simple to whip to up, you won’t believe it. Serve chilled or let thaw for a creamier filling. Great for a fun treat to make ahead and have on hand in case you have unexpected company…or unexpected cravings. Oh my word. If you’re like me, one of the things you miss the most about your old eating habits is a peanut butter and jelly sandwich. It’s comfort food at its finest, am I right? But now…now you have this. Thanks to Carolyn’s Keto brilliance, PB&Js aren’t relegated to your past life anymore. I’d go one talking about how much I love them, but it’s rude to talk with your mouth full and I’m eating one right now. 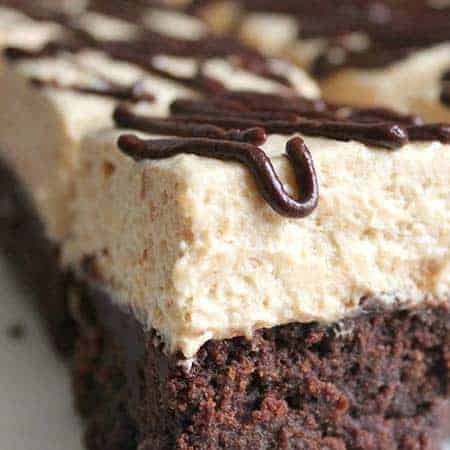 Amazing brownies meet peanut butter cheesecake in this tremendously rich and satisfying dessert. These are amazing! Perfect for a special occasion or to satisfy an immense craving. You cannot go wrong here! 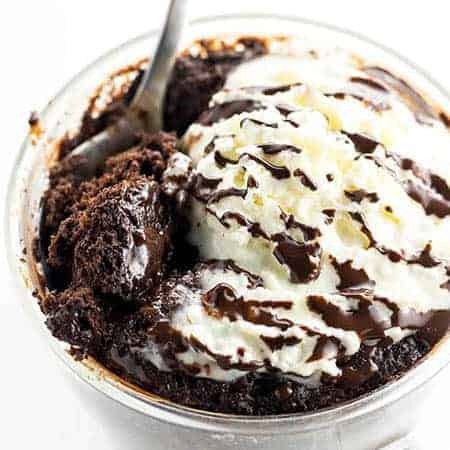 This Keto Chocolate Mug Cake by Maya of Wholesome Yum is about as simple as it gets. Made with 6 ingredients in less than 3 minutes, there’s no way to go wrong here. 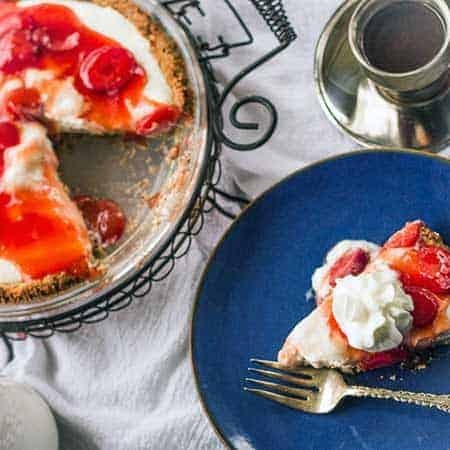 Personally, I like these for breakfast, but I’ve also been known to whip them up for dessert in the evenings to give the family a delicious dessert they don’t even realize is good for them! Now this one has to go in the oven, but it’s easy to make and comes out so perfectly delicious, you’ve just got to try it! And the most unbelievable part? It’s gluten-free and dairy-free, as well as grain-free. My friend Robin (aka Mama Shire) is all about those good-for-you desserts that are safe for anyone who needs a specialty treat. 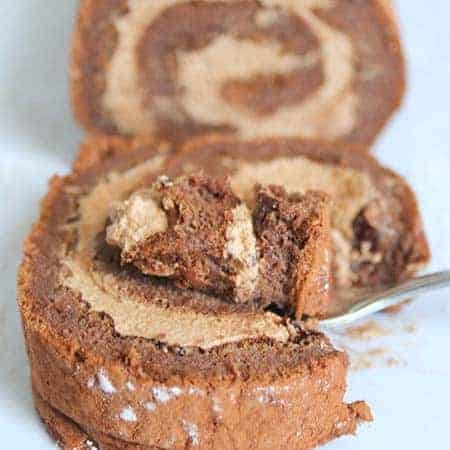 This mocha roll is going to taste sinfully delicious, and yet it’s totally good for you. 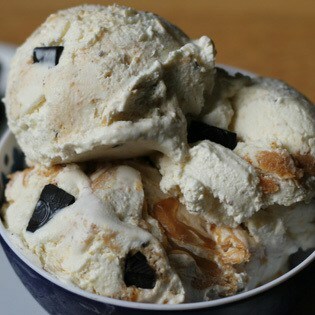 Can’t beat this as an option for a lovely looking dessert and an amazing mocha delight. 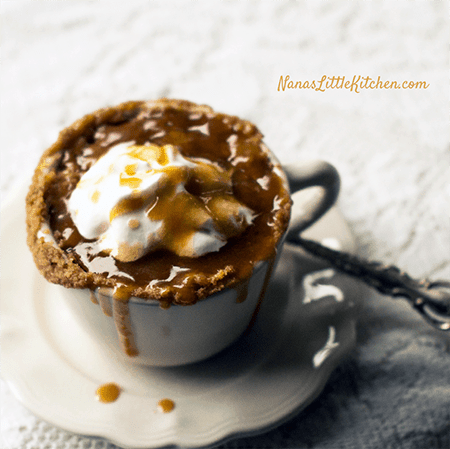 This family classic turned Keto and THM approved is one you don’t want to miss out on trying. 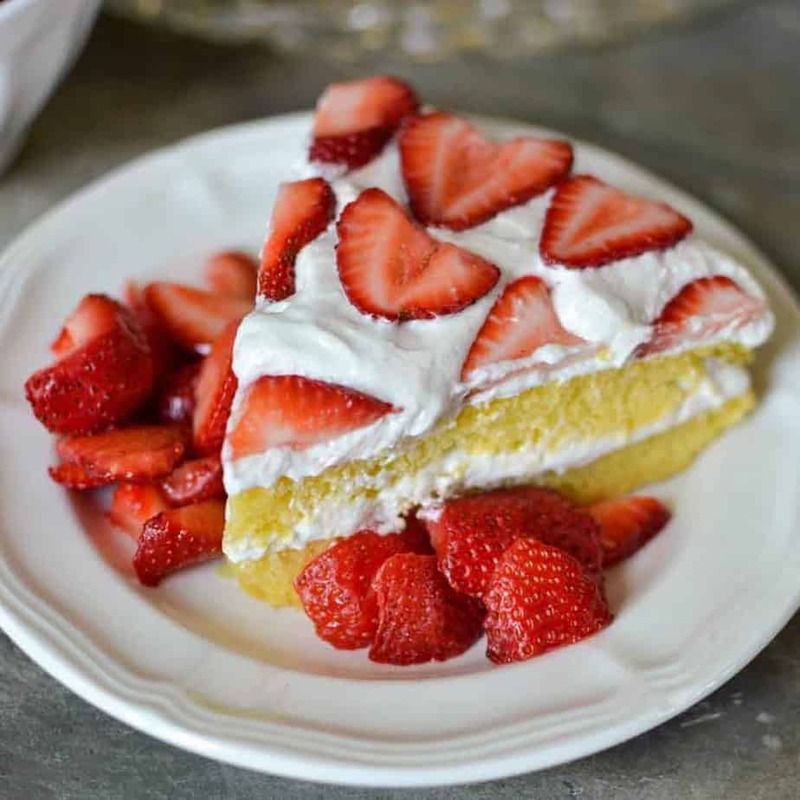 Perfect for the spring when fresh berries are ripe and flavorful, consider this for Mother’s Day or a family BBQ dessert. Or just because. Do love sweet caramel and creamy cake? THIS is for YOU. Over the top sweet but not an ounce of sugar in it makes this a dream come true. Teresia did herself proud (and me happy!) with this recipe. Be sure PIN FOR LATER and Share This on Facebook!